Armando "Mandoman" Placencia is originally from Sacramento CA. and currently resides in Phoenix AZ. Performing all throughout the country. Mandoman is quickly rising in the comedy world. His larger than life personality is a hit with audiences as he talks about marriage, politics , fatherhood and his obvious physical attributes. 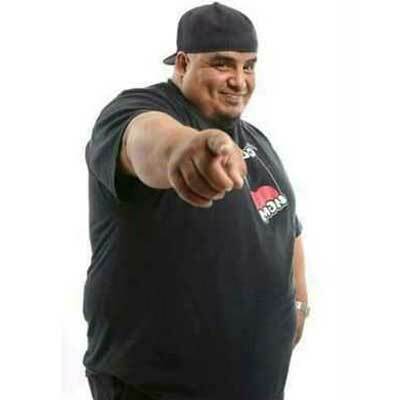 Mandoman has graced the stage with some notable talents such as Tony Baker , Alfred Robles, Jamie Kennedy and and Steve Trevino. Don't miss Mandoman Comedy! !